The University of Calgary will receive $8.5 million to help create an estimated 3,100 jobs and benefit 20 to 40 life sciences companies. The city announced its biggest payout yet from the Opportunity Calgary Investment Fund on Wednesday. The University of Calgary will get $8.5 million to help create an estimated 3,100 jobs in the life sciences sector. It's expected that will assist 20 to 40 companies a year in the university's research park. 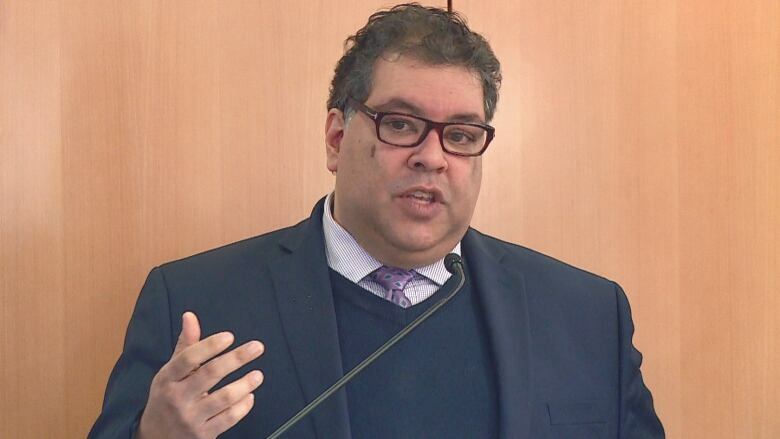 Mayor Naheed Nenshi says life sciences is a critical part of the city's economic development strategy. "So that 3,100 job estimate, it's way too low because fundamentally what we're doing here is we're making a transformative early investment," he said. "It's sort of like when the federal government said we've got a lot of good knowledge about how to get oil out of those sands up north and we've got to make a few transformative investments to turn the research into commercializable technologies." The U of C is spending $28 million to renovate an existing building in its research park for the life sciences innovation hub. The city money comes from a $100-million fund created by city council to help diversify the economy and create jobs in the wake of the oil price crash.